I found the material to be clear and easy to understand. I liked the "boxes" with additional information about different cultures. This course brought up some interesting points for me to be aware of and to examine in myself. 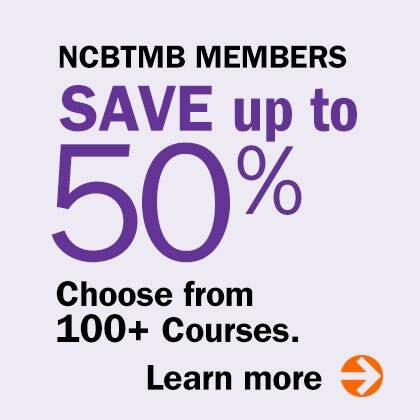 I really like this course because as a person/massage therapist, during your work shift you may be tired or stressed because you're running late, but this course reminds you to take a step back and remember that everyone is different and you need to be respectful of everyone's differences. If someone seems rude or "unemotional" you need to remember that it may be his/her cultural behavior and you shouldn't judge. I hope to suggest this course as a requirement to all of the staff I work with as it is a simple, but incredibly beneficial, source of information. This course was very easy to understand. Great course content! great course information is very understandable and compatible to the test. Very interesting info/material in this course! I enjoyed the course and learned quite a bit. Thank you for the interesting info and presentation. Very good 1 hour course. I really didn't want to take this course but I was mandated to do so. But I actually found it quite informative and I am glad that I took it. I was pleasantly surprised by this course. Very informative with excellent tips for use in my practice. Thank you! This was my first Diversity class and I found it opened my eyes to being more sensitive to my client's background and beliefs before starting any session. It makes me understand their subtle behaviors better now. Thank you. The information was current and very enlightening! The staff at the Institute are always helpful and very knowledgeable. 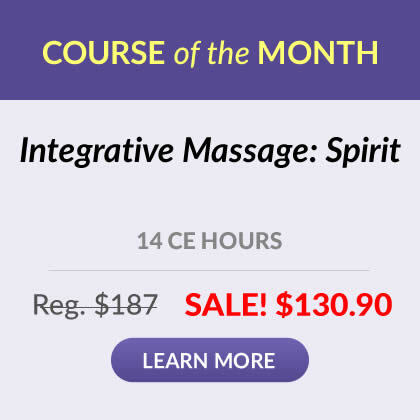 Concise course with pertinent information on cultural competence in a massage practice. Effective and easy way to complete the 1-hr. diversity requirement in your home. Thoughtful and wonderfully articulated--the ways we can be with others of different cultures and backgrounds! The information was concise and informative. Easy to read. This course was straight foreword to complete. Will certainly be back! Lots of valuable information presented concisely. Thank you for presenting the material in a way that is very useable. Course was written well, provided good and useable information. Great course! Keep up the good work! The class was very informative and helpful. Well presented material in a concise, easy to understand learning style. Makes practitioner stop and think about how they are interacting with clients. I would recommend this class to my co-workers. I really liked the resources listing for further study. Those resources are important. Reading this made me realize there's a lot to consider, a lot to learn! Opened my eyes to the struggles others might have trying to get a simple massage. The material was both enjoyable and useful. I can see applying it in my practice, but also in everyday interactions.